In the book there are lots of these little bags hung on a christmas tree. Ummm - yeah right -because we're all going to have lots of spare time to do that - yes ?. I strongly suspect I'll be decorating my tree with my usual christmas tat (dicionary definition - tastelessness by virtue of being cheap and vulgar). I like this lovely advent calendar, and speaking of lovely advent calendars - have you see Jenny's gorgeous tutorial here ? A tree with balls on. I got my copy here. * Sorry to mention the christmas word, it's devilishly early I know, but I had nothing else to post about . Well, not unless you wanted to hear about how long it took to get through my pile of ironing today ? Because I'm even beginning to bore myself now. You beat me to it. 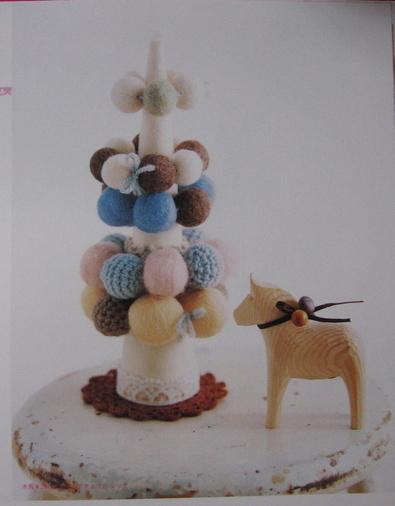 Just thinking I should post some pictures from some Norwegian Christmas crafting magazines... I haven't yet though because I have wondered: is that allowed - or is it against the law? Is it ok if you credit it? In any case I have been reading your blog for ages and love the adorable, happy things you make! Thank you for the pictures. I must make the coasters. And I am kind of curious as to how long it took you to finish your ironing (coming from a woman who NEVER irons). Great inspiration, I am ashamed to say I had already started to think about 'C crafting, so I am going to have to get hold of a copy. Anyway, that's not Mrs Santa in the photo. It's Mrs Pepperpot - definitely! that advent calendar is rather nice isn't it, and, yes i saw the one on allsorts too. did you see her previous post about the little shop she'd found?, kind of wishing i hadn't seen it, it's about 20 minutes drive from where i live and is sooooo expensive, but absolutley lovely. i've started making christmas presents already, don't want a repeat of last year, up till all hours on bl***y christmas eve, bl***y sewing!! I like those (felt?) motifs dangling from the branch in front of the window. And my Festive Season juices are already flowing! I LOVE the cozy coasters! Thank you for sharing the pictures! Oh oh oh... I love the little Christmas trees! Wow, those coasters are just adorable! I've been on the look out for Christmassy inspiration, these are all really gorgeous. I love Jenny's advent garland but this one looks equally simple and cute. My copy is in the mail - can't wait to see it in person! Brilliant book. I just got back from Japan and went nuts buying mags and books - worth every Yen. Please, we are all jumping on the Xmas bandwagon earlier and earlier, I'm worse than anyone I know. I think it's because we are all so busy. 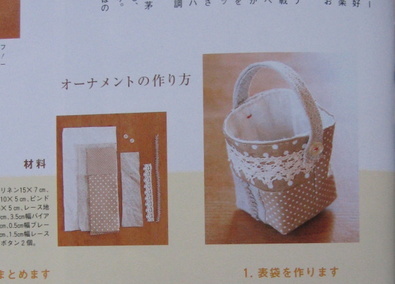 I just bought 'The Crafters Companion' and I love your section. You make the cutest stuff. I don't think you're boring at all and I do appreciate your post about the Christmas issue of this magazine. Thank you so much for sharing all this and I'm going to go over and order the magazine. lovely! especially all those shades of light brown & the advent calendar !!! Mmm, lovely pictures, but I'm desperate to know ..... how long did that pile of ironing take??! I've been missing your inspiration. I check your blog everyday. You are not boring. I love your tutorials. I hope things are going well for you. Thanks for sharing the book, lots of inspiration there. So cute just discovering your blog and loving it ! hee- i am thinking about that devilish word already too and these are such inspiring little projects! 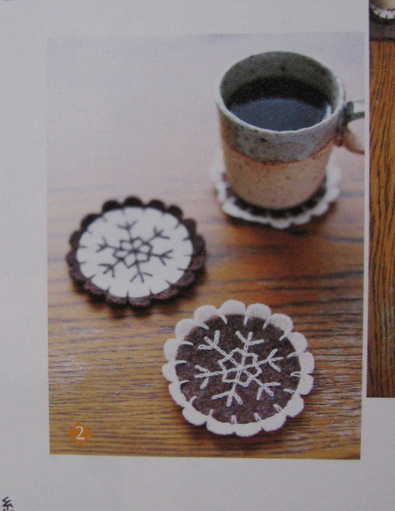 Love the coasters and little tree. would you believe....stores in Australia have had decorations since the end of SEPTEMBER!! Lots of inspiration here, maybe I should get a copy for myself then I could prop it up near the ironing board and browse as I iron! oooooooooh the crafts they're so pretty!!!! I really love reading your blog... not only do you always have something amazing to share with us but I love your sense of humour! I've got to make that advent calendar. 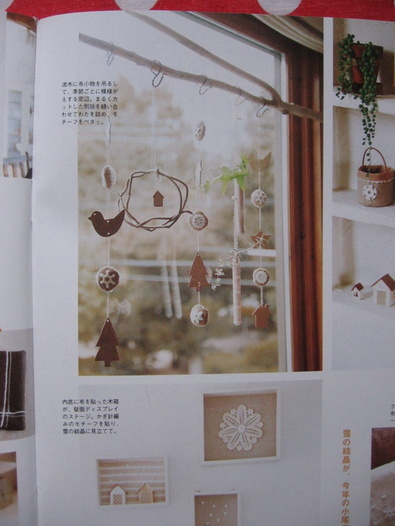 And I want to make one of those little thinging ma-bob hanging in the window, I can't remember what they're called??? Anyhow, so cute. I got my copy that day at a nearby japanese bookstore - Kinokuniya. 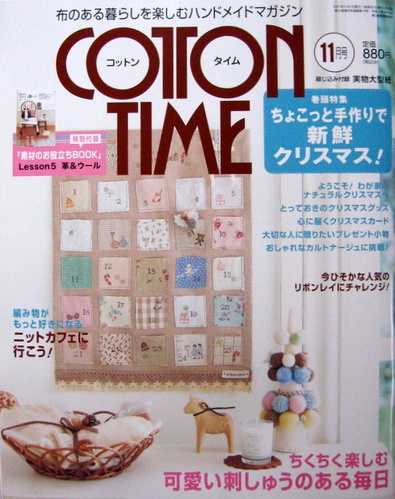 This is my 1st book on Cotton Time and I love it. Good and great ideas. Seems like a like cotton time more then cotton friend now. Really inspiring - you make some brilliant things, hope to see you all soon. There are always lovely things in cotton time. It's a pity not to have enough time to do them. 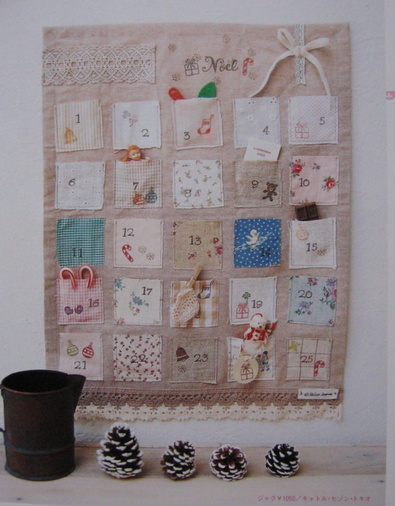 I'm going to decorate my tree with my usual christmas tat too.I've fallen in love with the advent calendar. oh I love the window hangy thing! Christmas is my favorite holiday and I'm so glad we have the TIME to decorate properly..the last 2 years we have moved to new homes in Dec and the year before those my husband was overseas and I didn't even bother decorating! Thanks so much for the link to Jenny's tutorial. It is just gorgeous and I am off to buy the felt tomorrow. I love your images from that gorgeous magazine ~ very inspirational. Thanks heaps for sharing. I found your site while surfing on net. I was very surprised to find this magaine in foreign site. Your handmade things are so cute! I'll come again. Thank you. 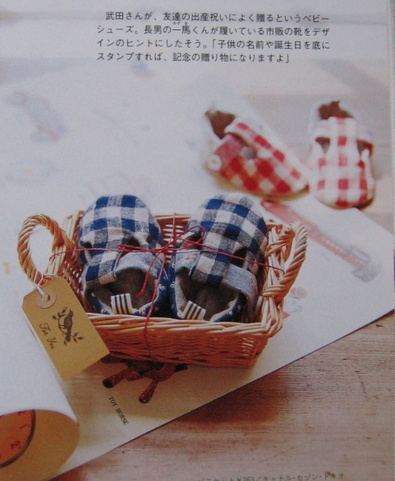 Thank you for these lovely magazine but could you please give me the ISBN number ? I LOVE it! Wonderful ideas, as always. I am pretty late on the comment train - but these are so fabulous! 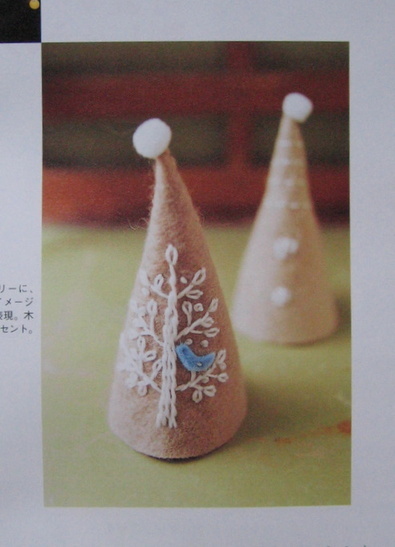 I have a few Japanese craft books that I WISH I could understand!